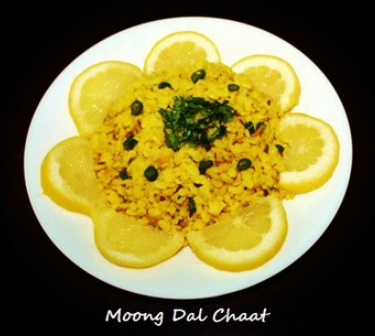 Moong Dal chaat or Sukhi Moong Dal (dry moong dal) is a very flavorful nutritious dish for breakfast or afternoon snack. 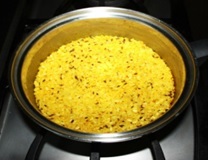 It is prepared with yellow moong dal without skin. 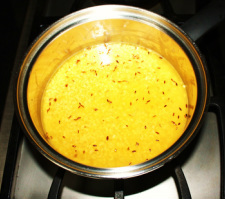 It is commonly known as“Dhuli moong” or washed Moong. 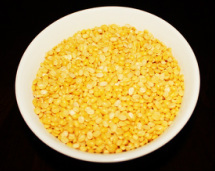 Moong Dal lentils are tiny cylindrical seeds, which are hulled and split. 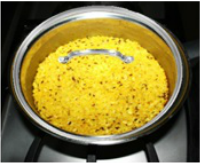 The preparation of Moong dal chaat is quite simple and there is no need of pressure cooker and with few garnishing it makes a delicious dish. 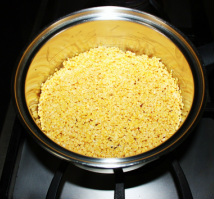 Moong dal is rich in protein easy to cook and easy to digest. 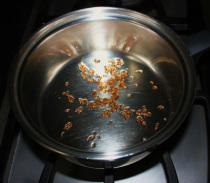 cups of water for 15 to 20 minutes . 2. 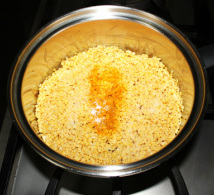 Once dal is soaked rinse the water out and wash. Keep it aside. 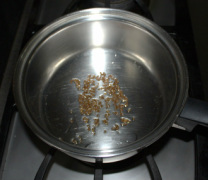 asafetida and fry for 2 minutes or until cumin seeds become brown. 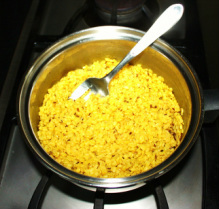 together and cook on medium heat. 7. Once Dal become tender and all the water has evaporated, turn the stove off. Keep the pan covered and let the Dal rest for 7 to 8 minutes. 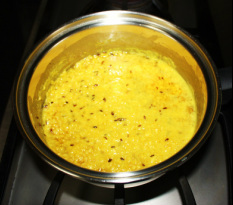 making Moong dal as a chaat, Dal should not be mushy. 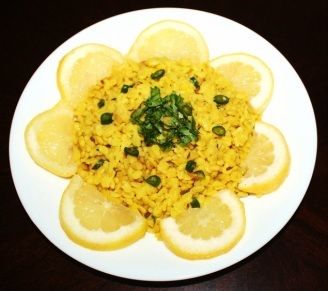 coriander leaves and chopped green chilies, sprinkle some fresh lemon juice.